The desired theme for Sheena and Alex’s white, black and gold wedding planned by Express Yourself Weddings & Events was modern. Arrangements along harvest tables were raised to appear like clouds and at each place setting favours were presented in a black box tied with gold ribbon. At the centre of the room, a custom dance floor was created with a gold monogram to complete the theme. 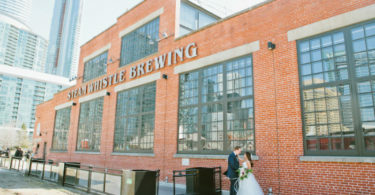 The result was a beautiful and magical setting that brought the couple’s dream vision to life. 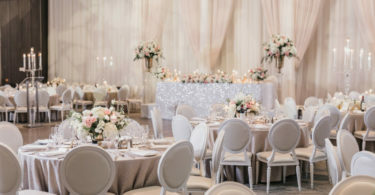 Find the entire wedding in the 2019 Toronto issue of Elegant Wedding Magazine!